Nominated for Album of the Year by the Maple Blues Awards, this album features a duet with none other than Charlie Musselwhite. Featured guests include Big Jon Atkinson, Kid Andersen and Producer Little Victor! Like John the Rock Doctor says, "if somebody asks you 'what does blues sound like?' this is the album you have to play for them"
Released in 2014 this album made it's way to #20 in the International Blues charts on Roots Music Report. 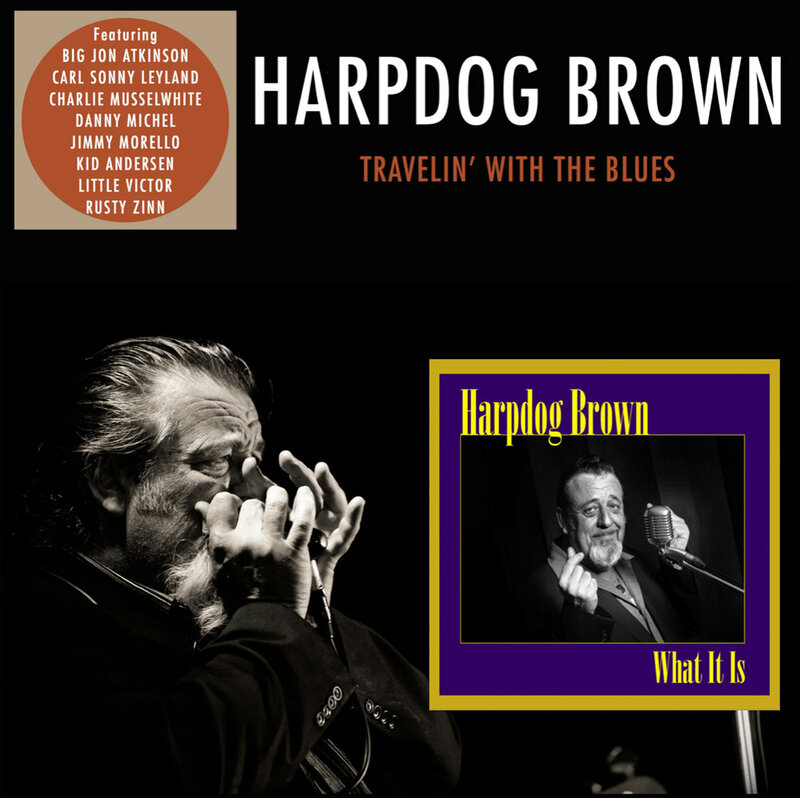 Holger Petersen, SiriusXM, CKUA and CBC broadcaster, says "Harpdog is one of Canada's most distinctive blues singers and harp masters. He keeps it traditional, adding his own flair, energy and humour to great material presented with swinging phrasing and solid, deep playing. His best work yet"
Here's a special Holiday offer from the Doghouse Fan Club. Buy both CDs and save $5. You'll get What It Is PLUS an autographed copy of Travelin' with the Blues and just in time for Christmas!